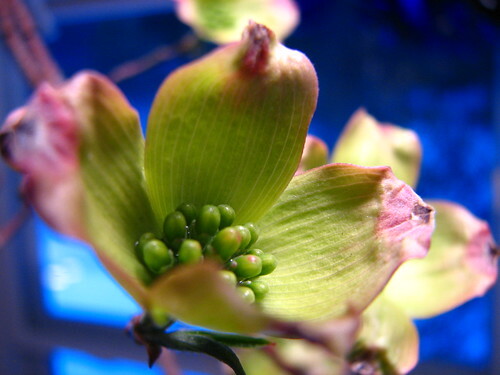 The dogwood trees are beginning to open their buds. We have three dogwoods ready to bloom. One is still in a tight bud, one has blossoms still cupped and and one has blossoms that have opened but haven’t turned white yet. Last year, they had no more than a few flowers. I guess the hard freeze we had so late the year before interrupted the bloom cycle. But this year, they are loaded with blossoms. This entry was written by ~~Rhonda, posted on April 3, 2009 at 3:34 pm, filed under spring and tagged dogwood, garden, spring, spring 2009. Bookmark the permalink. Follow any comments here with the RSS feed for this post. Post a comment or leave a trackback: Trackback URL.